Winter is coming and, with it comes dry skin. While many people tend to focus on skin care during bathing suit season, the fact is that harsh winter conditions can wreak havoc on skin. 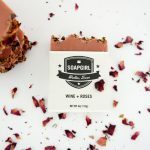 Brya’s Soap Box has the answer to that, with a collection of lush and creamy products that are aimed at moisturizing skin and keeping it supple. Their vegan and cruelty-free formulas are full of luxurious butters and oils to protect the skin and keep the winter weather from turning it to dry leather. Turn your shower into a spa experience by starting with any one of their soaps to clean and prep your skin before it is moisturized. 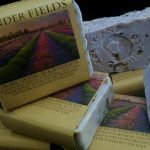 You can choose from a huge selection of soaps containing ingredients such as virgin olive oil, coconut oil, avocado oil, shea butter and jojoba oil. 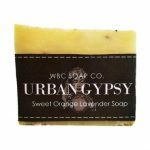 These rich-lathering soaps come in a variety of beautiful scents, scented with essential oils, such as orange hibiscus, coconut, lemon, burnt orange patchouli, mango papaya, tropical roses and peppermint. If your skin needs a little extra attention, Brya’s Soap Box offers exfoliating scrubs that sound good enough to eat. You can choose from sugar or salt scrubs, in a variety of infusions to strike your fancy. The sugar scrubs are made from a combination of turbinado sugar and almond flour, with added sweet almond oil and oat oil. 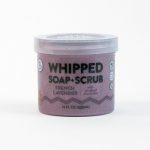 The salt scrub is made from Dead Sea salt, and is combined with black raspberry seeds, black raspberry seed oil, organic virgin coconut oil and sunflower seed oil. Both scrubs exfoliate dead skin, to reveal smoother, healthy skin, while the added oils moisturize the newly exposed skin layer. 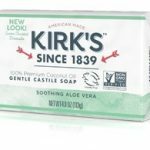 For added moisture after your shower, or in between showers, Brya’s Soap Box offers aloe and shea-based body butter lotions. The body butters are formulated to absorb quickly, while still moisturizing the skin to leave it baby soft. The body butters contain extracts of comfrey, chamomile and calendula to repair and calm the most cold-bitten skin. 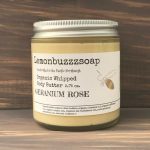 The body butters are offered in an assortment of naturally scented options, including Tahitian gardenia, pomegranate, patchouli, cool citrus basil, Hawaiian white ginger and cocoa almond. To learn more about Brya’s Soap Box vegetarian and cruelty-free beauty products, visit their website.